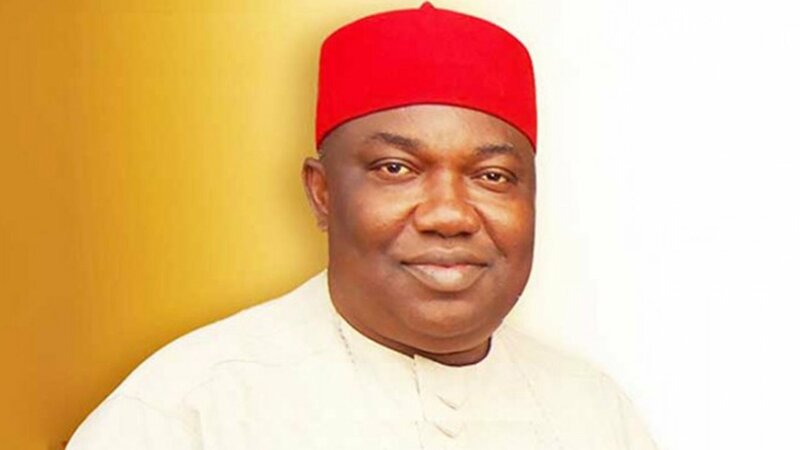 IN line with the Enugu State government’s policy in education and the need to discover and assist intellectuals in the rural areas, Governor Ifeanyi Ugwuanyi yesterday granted scholarship to 340 indigent students of the Enugu State Polytechnic, Iwollo, Ezeagu Local Government Area of the state. Ugwuanyi explained that 20 indigent students in each of the 17 LGAs will benefit from the scholarship scheme, which will cover their tuition fees for four years of study at a total cost of N41.6 million. The governor spoke during the maiden engineering day commemoration at the institution, where he inaugurated the newly constructed School of Engineering Complex sponsored by Prince Arthur Eze and laid foundation for the construction of Prof. Julius Onah School of Management Technology. The event also witnessed the foundation laying ceremony of School of General Studies by the Deputy Governor, Hon. Mrs. Cecilia Ezeilo and conferment of Merit Awards to notable engineers and other dignitaries, such as the Deputy President of the Senate, Prof. Ike Ekweremadu; former President of the Senate, Senator Ken Nnamani; member representing Udi/Ezeagu Federal Constituency, Hon. Dennis Oguerinwa Amadi; Prof. Barth Nnaji; Sir Chief Emeka Offor; HRH Igwe Augustine Otiji and Engr. Vita Abba, among others. Also speaking, Gov. Ugwuanyi disclosed that the cardinal principle of the educational policy of his administration was “the provision of access to qualitative education at all levels to all classes and strata of the society”.